At Harris Dental, we hope you never experience a serious dental emergency. It’s important, however, to know what to do in such a situation. Here is a quiz on both dental emergencies and less urgent oral issues. 1. One of the wires on your braces breaks. What do you do? a. Cut off the loose piece. b. Put a piece of orthodontic wax on the end if it is irritating your tongue or gums. Schedule an appointment with your orthodontist to have it fixed. c. If the wire has cut your gums, rinse with a solution of salt and water. Both b and c are correct. If you don’t have a piece of orthodontic wax, you can use a cotton ball to cover the sharp end. If you cut off the loose end of the wire, you risk swallowing it. 2. Your five year-old falls off his bike, hits his face on the sidewalk, and knocks out one of his front teeth. What do you do before driving immediately to the nearest Phoenix dental office or Mesa ER? a. Put the tooth back in the socket. b. If the tooth is dirty, scrub it with a brush. c. Put the tooth in milk. The answer depends on whether it is a permanent tooth or a baby tooth. 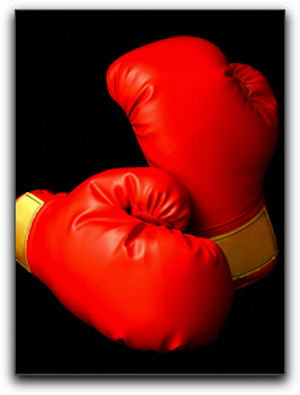 If a permanent tooth is knocked out, it may be successfully re-implanted if done quickly. Make sure you only hold the tooth by the crown; never touch the root. If the tooth is dirty, rinse it gently with water, being cautious not to brush off any tissue attached. It is best to reinsert the tooth into the socket. This may not be possible with younger children. Because it is essential to keep the tooth from drying out on your way to your Mesa dentist or nearest Phoenix area emergency room, you can put the tooth in a cup of milk. Baby teeth should not be reinserted because it can potentially damage the emerging tooth. 3. You lose a filling and the tooth starts hurting. After scheduling an appointment with your Phoenix dentist, what do you do in the meantime? b. Take an OTC pain reliever. c. Put an aspirin on the tooth. Both a and b are correct. Though your Phoenix dentist probably can’t use the same filling to repair the problem, it may reveal important information about the cause of the separation. Never put an aspirin on a tooth because the acid in it could irritate your gums. 4. One of your teeth suddenly darkens. What are the possible causes? a. The nerve inside the tooth is damaged. b. It is side effect of a medication you are taking. For any dental emergency or other oral condition, call an urgent dental care office or Harris Dental in Phoenix. We have been providing quality dental care for Phoenix, Mesa, and Queen Creek residents since 1979. If you add our address and phone number (480-428-0040) to your phone contacts right now, you won’t have to search for it in the case of an emergency. Tooth Knocked Out? Call 480-428-0040 ASAP! It may sound like a catastrophe to many people, but having a tooth knocked out doesn’t always mean you’ll need cosmetic dentistry to correct your smile. If you can keep a cool head and remember a few simple instructions, chances are your tooth can be salvaged. The vital thing for dental patients to do if they’ve had a tooth knocked out is to find the tooth, handle it carefully, and keep it in the best condition possible so their dentist can reinsert it properly. Do not handle the tooth by the root, be careful to only touch the crown. It’s okay to gently rinse the tooth in water, but don’t scrub it or remove any tissue fragments from the tooth. If it is possible, the prime place for the tooth to be held is back in the socket (placed there gently, of course). Holding the tooth between the lip and gum or under the tongue is good too, just be careful not to swallow. If neither of these is an option, place the tooth in a cup of milk. Next, you’ll want to get to your dentist ASAP. Most teeth that can be reinserted by a dentist within an hour can be saved. If you are looking for trusted dental care, give Harris Dental a call at 480-428-0040 . Perhaps your teeth and gums are healthy but you wish your smile was more attractive. We can help you there also with a smile redesign. Porcelain veneers, CEREC same-day crowns, dental implants, and orthodontics are all available to solve any cosmetic troubles you wish to have fixed. Call us at 480-428-0040 immediately if you have a dental emergency! 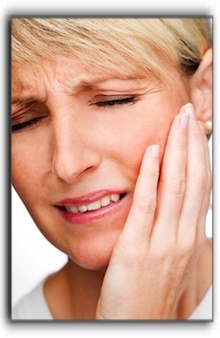 For any dental emergency or other oral condition, call an urgent dental care office or Harris Dental in Phoenix. We have been providing quality dental care for Phoenix, Mesa, and Chandler residents since 1979. If you add our address and phone number (480-428-0040) to your phone contacts right now, you won’t have to search for it in the case of an emergency.